Dr. Morice is a native of South Louisiana, born and raised in a small-town suburb of New Orleans. After college he obtained post-graduate degrees from Tulane University graduate school and LSU Medical School. During undergraduate, graduate, and medical school he spent several years doing research at both Tulane Medical School and LSU Medical School in the departments of Toxicology and Infectious Disease. While some of his work has been published in medical journals, Dr. Morice became less passionate about research and more passionate about reproductive health and women’s healthcare. He has focused his training in Obstetrics and Gynecology on helping couples achieve pregnancy, most specifically on tubal reversal surgery. Dr. Morice is married to Jennifer Spitale Morice, a native of Morgan City, and they have three wonderful children. In their free time they like to travel and explore, and they try to keep their kids occupied by always learning and experiencing new things. 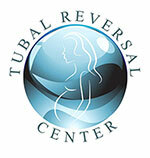 The Tubal Reversal Center is home to Dr. Morice, now one of the world’s best Tubal Reversal surgeons. Dr. Morice has been performing successful Tubal Ligation Reversals since 2001. People travel from around the world to the Tubal Reversal Center to have their surgery performed by Dr. Morice and his staff. Dr. Morice designed and built his main office in Morgan City in 2003 to provide a state-of-the-art facility for his patients. The office features an in-house laboratory designed to save our patients time and money. We have the latest technology and imaging equipment including 2D, 3D, and 4D ultrasounds to help monitor your growing baby. We have Wi-Fi and flat screen televisions in every room for your comfort and entertainment. Our dedicated staff is always available and eager to answer your questions and ensure that you have the best experience possible while pursuing your dream of having another child. Our talented staff is composed of more than 25 talented nurses, medical assistants, front office staff, and laboratory technicians, all focused on you. They are here to answer any of your Tubal Reversal questions and provide excellent care. As a patient of The Tubal Reversal Center, your comfort, health, and successful pregnancy are our number one priority. Our doctors are also on call 24 hours a day, 7 days a week in case of emergencies. Dr. Morice and the Tubal Reversal Center is located in Morgan City, Louisiana, a short drive from New Orleans, Baton Rouge, and Lafayette. Tubal Reversal surgery takes place at The Physicians Medical Center state-of-the-art surgery center in Houma, Louisiana. Dr. Morice performs Tubal Ligation Reversal surgery utilizing one of three surgical approaches: Robotic Surgery, Laparoscopic Surgery, and a Mini-Laparotomy. All three of these Tubal Ligation Reversal surgery procedures are strict microsurgical repair techniques to achieve an optimal Tubal Ligation Reversal. All three approaches have the same success rate. However, due to the additional equipment needed these procedures have significant cost differences: Robotic Surgery is very expensive, laparoscopic surgery is moderately expensive, and a Mini-Laparotomy is the least expensive option. The success rates of the actual microsurgical Tubal Reversal technique where the tubes are meticulously repaired does not vary with either of these three approaches – the success rates for all three approaches are the same. Due to patient preference and disinterest in paying the extra costs associated with the more minimally invasive techniques (Robotic and laparoscopic) to achieve the same excellent success rates, the vast majority of Tubal Ligation Reversals are performed using a small open incision (a mini-laparotomy) just above the pubic bone inside of the underwear line through the upper area of the pubic hair. Alternatively, if the patient has a prior scar from a C-Section or other surgery, the smaller incision can be made through the old incision so that after healing has occurred there is no new scar. This mini-laparotomy approach also allows Dr. Morice to remove other abnormal tissues when occasionally present (such as ovarian and / or tubal cysts, polyps, small fibroids, endometriosis, free-floating calcified tissues, old sutures or staples, questionable pathology or abnormal tissues, etc) wherein removal may improve the rate of fertility for the patient. The length of the mini-laparotomy incision is generally about 3 inches long, but this depends on the Body Mass Index (BMI) of the patient. A slightly bigger incision is also needed for patients with higher BMIs. Also, if the patient has more scar tissue on the uterus and / or tubes and / or ovaries, or other abnormal findings, a wider incision may need to be made in order to remove scar tissue and any other abnormal tissues or pathology sometimes found during surgery. THIS IS ALWAYS DONE AT NO EXTRA CHARGE as a courtesy to our patients as we are focused on improving the odds of obtaining a successful pregnancy after Tubal Reversal surgery. Dr. Morice and his surgical team approach every surgery with the goal of using his vast experience in Tubal Reversal surgery to perform the most meticulous and successful Tubal Ligation Reversal humanly possible. While assuring meticulous tubal alignment and excellent tissue repair with dye testing throughout your surgery, Dr. Morice also works hard to restore ALL of the tissues surrounding the reproductive structures in the pelvis. Repairing and / or removing any abnormalities, Dr. Morice returns the pelvic structures to a pristine condition. This extra work will help improve your fertility rate after your tubes have healed from the Tubal Ligation Reversal and you are ready to start expanding your family. Additionally, if desired, Dr. Morice will remove old scar tissue, tattoos, indented skin, and any other cosmetic irregularities at no charge if it is something that the patient wants removed and the aggravating tissues can be removed while making the skin incision. Dr. Morice also offers Tubal Reversal surgery for the low cost of $5,250, one of the lowest costs in the nation! Call us at 985-518-4449 to schedule an appointment or to speak with one of our nurses. We offer free Tubal Reversal consultations over the phone. We look forward to meeting you! Dr. Zabel is the newest addition to Dr. Morice and the Tubal Reversal Center, joining the practice in August 2014. She received her Bachelor of Science degree from the University of Georgia in 2005 and then returned to her home state of South Carolina for medical school, earning her Doctorate of Medicine from the University of South Carolina School of Medicine in 2010. Following medical school, Dr. Zabel moved to New Orleans to complete her residency in Obstetrics and Gynecology at Tulane University School of Medicine. During her residency and life in New Orleans, she fell in love with the people and culture of southern Louisiana and knew she wanted to continue providing medical care in this area. Dr. Zabel is a board-eligible physician in obstetrics and gynecology and a member of the American College of Obstetrics and Gynecology. Her interests are in routine and high risk obstetrics, gynecological and menstrual problems, and adolescent gynecology. She is accepting new patients’ now – contact 985-702-BABY (2229) to schedule an appointment today!